The United Nations has asked Sri Lanka to immediately repatriate a commander serving in the peacekeeping force in Mali following allegations that he was linked to atrocities committed during Sri Lanka’s war with Tamil Tigers. The commander of Sri Lanka’s contingent in the MINUSMA peacekeeping force was screened before he was sent to Mali but “new information recently came to light,” Dujarric said, without providing details. Sri Lankan forces crushed the Tamil Tigers in a no-holds-barred military offensive that ended their long-running guerilla war in May 2009, leaving more than 100,000 people dead. In the final months of the war, Sri Lankan forces are accused of killing up to 40,000 Tamil civilians. The expelled commander is said to have led Sri Lankan special forces in operations against Tamil civilians during the brutal, closing chapter of the war. The International Truth and Justice Project (ITJP), a South Africa-based non-governmental organization that documents mass atrocities from Sri Lanka’s war, in April sent to the United Nations a list of 56 Sri Lankans who should be barred from peacekeeping. The ITJP charged that UN officials had failed to properly vet Sri Lankan troops for peacekeeping. The 56 officers and other personnel were either alleged perpetrators or were involved in frontline combat in the final stages of the war, when crimes were committed by security force units. 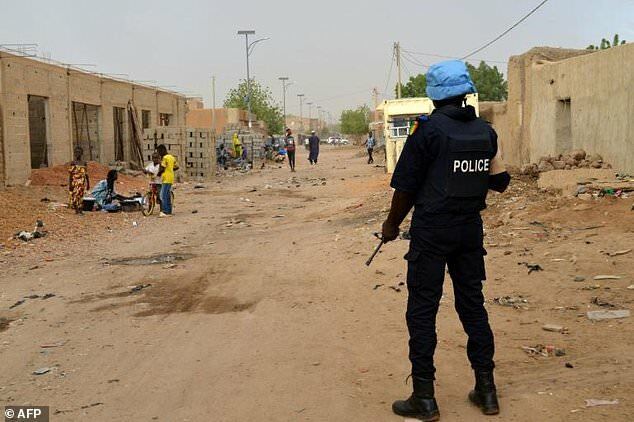 The United Nations has 15,000 troops and police serving in the peace mission in Mali, which began in 2013 and is considered one of the UN’s most challenging operations. Sri Lanka has deployed about 200 troops in MINUSMA and has sent smaller contingents to UN peace operations in Lebanon and in the Central African Republic. This Dujarric fellow who may be having Jewish ancestry must be harbouring UN secretary general ambitions. So, he knows the best way to set about is attacking Sri Lanka. He will then get the full support of UK and the EU. He is a Frenchman and France also will back him to the hilt.